We so enjoyed writing last week’s blog post about the fun of using MyMusicCloud that we’ve decided to make a similar list of the many reasons our users like our service: its simplicity and ease of use. Pop. You can pop a MyMusicCloud widget on your browser and listen to your music without being locked to a single website. Play. You can create unlimited playlists to play on the web and on your devices—everywhere you are. Stow. If you run out of available space on MyMusicCloud, any surplus songs will automatically go into your out-of-space box. There, they will wait patiently until you want easy access to them, at which point you can swap out your active songs by using the “remove from cloud” and “restore to cloud” options. Upgrade. 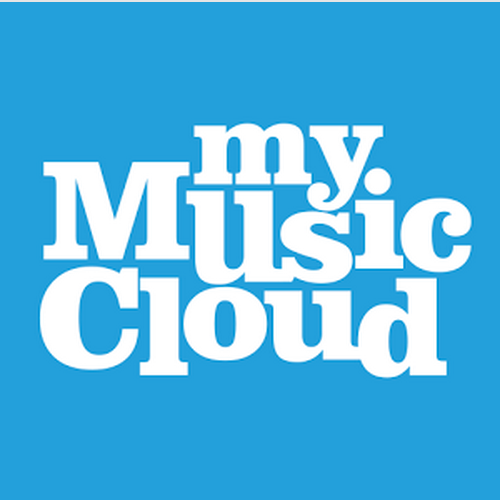 Of course, you can always buy additional storage by clicking on “Buy Storage” from your MyMusicCloud account, and choosing the package you want. Drop. As we announced last December, we are proud to be integrated with Dropbox. So if you’ve got your music in Dropbox already—and want to sync it across your mobile or tablet, you can. iTunes Sync. Our Sync Agent is a great tool that uploads all your music automatically (must be on a PC), and continuously syncs between your media player of choice (iTunes or windows media player) and MyMusicCloud. This means that if you buy a new song or album on MyMusicCloud, it automatically syncs to your iTunes—and vice versa, with no further steps necessary. Mobile Sync. From our web app, you can decide which songs to sync or unsync with your mobile device by clicking on the cellphone-shaped button to the left of the track. Queue. Our continuous play function ensures that when you leave one device and hop on another, you don’t lose your place in your music queue. We’ve mentioned how we’re launching a music revolution. In the process, we’ve been talking a lot about how MyMusicCloud works: how you can upload your music to all devices—regardless of make or model or version. But at the heart of it, we haven’t forgotten that music is fun—and our nifty, device-agnostic music delivery cloud service is nothing if not fun. Here are some features we thought you’d like. SING. First, lyrics. Are you looking to belt out the latest Rihanna song? Or are you simply trying to figure out the word that Justin’s using to rhyme with throat? MyMusicCloud makes both of these things super easy: with the click of a button, we fetch the lyrics for you. No need to wonder, no need to search for anything in a separate browser window, no need to choose one lyrics service over the other and wonder whether it’s accurate (ours is). In a flash, it’s instant karaoke—and we hope it tickles you as much as it does us. VIEW. Next, indulge your eyes. When you change your theme to “intelligent” mode (just click on ‘Account’ and look under ’Themes’), MyMusicCloud background will change according to the music you are listening to. Give it a try. ANSWER. We love this one. MyMusicCloud gives you the ability to convert a passage from any song into…you guessed it. A funny, catchy, poetic, or rockin’ ringtone for your phone. Set your alarm with Christina Aguilera. Give yourself a souvenir from Coldplay. Snip a piece of Adele, and use it to lift your day—or identify a friend. SHARE. Music is social. That’s why we integrated MyMusicCloud with Facebook, so you will be able to let your Facebook friends know what songs you’re listening to. We hope that above all, you enjoy your music—courtesy of MyMusicCloud. In the next post, we’ll go over some of the functional nuances of our service.